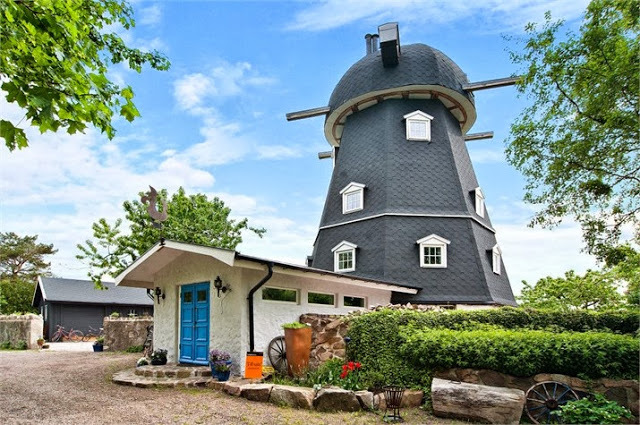 This wonderfully rustic and fully restored wood cabin could be the small home of your dreams, or perfect for a break in the beautiful French countryside. 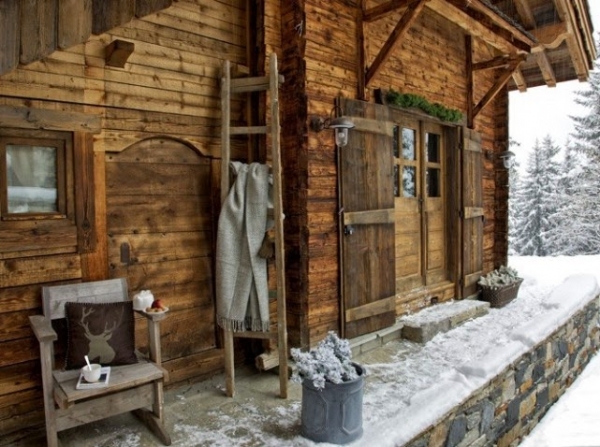 Situated in Courchevel, France this wood cabin was once a grain store and has been fully transformed by the owners to make a perfect weekend retreat. Externally the wood cabin retains many original features and although updated still has that wow factor that many wooden buildings have. Simple yet stylish, with great use of natural materials and highlights of nature with the use of planters situated near the front door. Inside you will find this cozy wood cabin has everything you need, including a beautiful wood burner that easily heats the cabin, a feature stone hearth and built in wooden seating area. 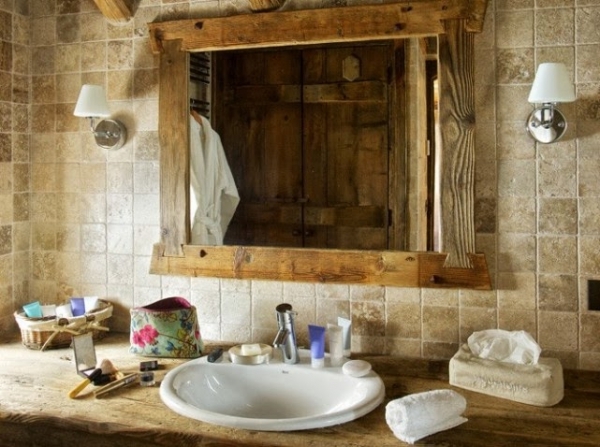 The furniture, which is also of a rustic style complements the room wonderfully. There is also a small kitchen area that would be perfect for creating those alfresco meals during the warmer months. 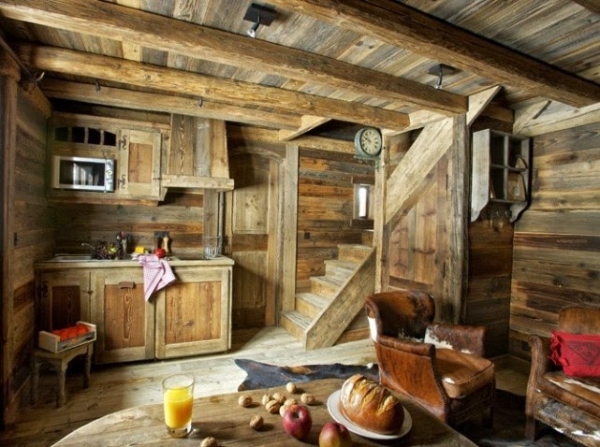 Climbing the simple wooden staircase brings you to the master bedroom, that is once again a picture of rustic style. 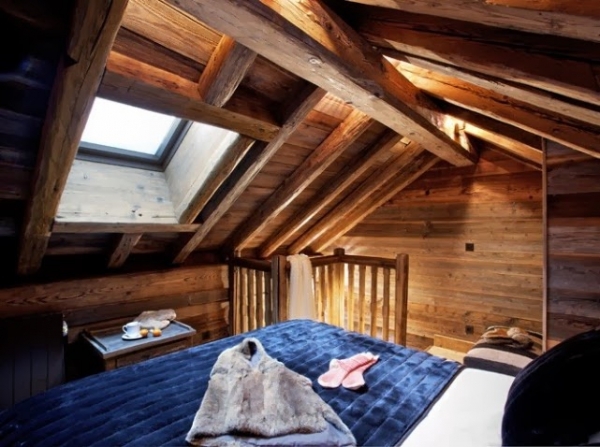 Built up to the roof height means you can wake with the sun streaming through the fitted roof windows and go to sleep with the image of those wonderful wooden beams above your head. The bedroom is furnished simply and the color of the bedding brings an extra special touch to the mainly wooden room. You will also find a perfectly ample bathroom, again using natural materials and hints of nature that are echoed in the neutral colored wall tiles and accessories. 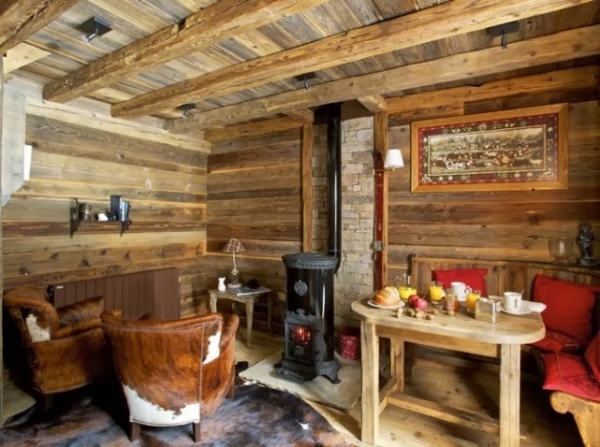 The subtle use of lighting in the wood cabin makes each space stand out and creates a cozy atmosphere in any weather. This wood cabin in France is a delight and should provide the ideal place to relax and get away from city life.